The Yankees had two needs ahead of this year’s trade deadline: a starting pitcher and a left-handed reliever. Considering Brian Cashman went out and filled both of those holes at a fair price, the deadline has to be considered a success. Starter J.A. Happ (11-6, 4.05 ERA) has had a solid year and represents a major upgrade over Luis Cessa, Domingo German, etc. New York also didn’t part with any major prospects to get him. Brandon Drury could become a quality player for Toronto, but he was blocked in New York. 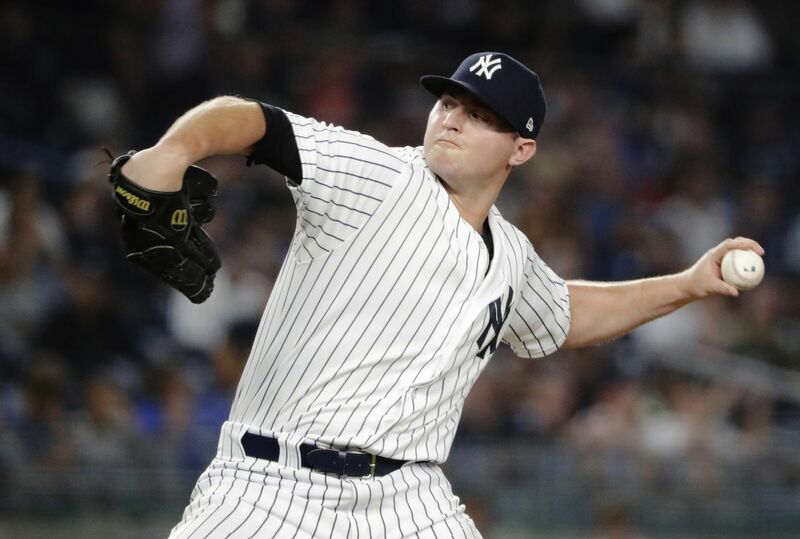 Lefty reliever Zach Britton (3.57 ERA) is a huge step up from Chasen Shreve and the Yankees dealt only one meaningful prospect (Dillon Tate) to acquire his services. Both of these were solid, if unspectacular, moves. As for the Lance Lynn and Adam Warren trades, I’m more on board with them than most Yankees fans. Lynn has had a rough season overall (5.10 ERA), but he has an ERA under four over the last two months and has made two good starts against Boston this year. His 8.37 April ERA also becomes more palatable when you consider he wasn’t signed until March 12th. He will serve as rotation insurance in case of injury or further struggles from Sonny Gray. As for Warren, the rise of Jonathan Holder, and acquisition of Britton, made him expendable. While his 2.70 ERA and 11.1 K/9 suggest he’s had a great year, he also has a 1.27 WHIP and wasn’t really reliable in big spots. These trades also brought back more international signing money and further 40-man roster flexibility. I am satisfied with Brian Cashman’s work at the deadline this year because I think he was able to address some team needs without forcing the issue and making a bad deal. The Yankees’ need for an “ace” was talked about endlessly during the first half but the Verlanders and Gerrit Coles were not out there to be had, and they would've had to pay an extremely high price. Cashman was clear that his preference was to not give up any of the Yankees’ top prospects like Clint Frazier and Justus Sheffield. He dealt only one top 10 prospect while getting back a group of guys who could be useful in multiple roles down the stretch. These deals also cleared valuable 40-man roster spaces that can be used for guys that the team will need to protect this offseason. Having a deep farm system is a great thing, but you can't keep everyone, and the Yankees were able to move a few guys whose futures in the organization were unclear or perhaps a lower priority than others on the way. With Britton they got a lefty than Chasen Shreve who can be dominant when he's at his best. Lance Lynn could factor into the rotation sooner rather than later after Sonny Gray's latest meltdown and he has playoff experience as well. Happ is a solid veteran who can help stabilize the back of the rotation and also has good numbers against the Red Sox. 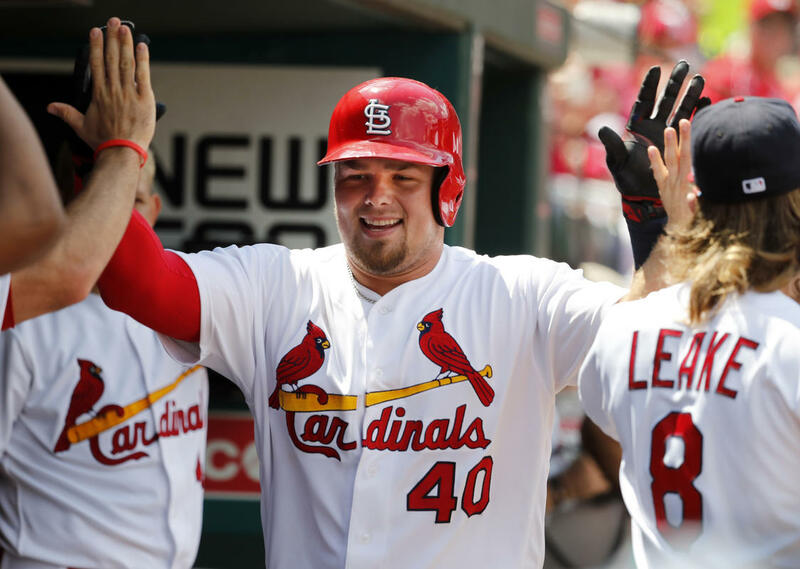 Luke Voit may just be a depth replacement in Triple A right now but he's been red hot for the last few months and might be worth a look for some ABs at DH while Judge and Sanchez are out. Cashman also made a lot of moves for International signing money, which may seem trivial at first but a lot of the Yankees best players or prospects are international signings. Using the international market is a good way to keep top flight talent coming into the organization since their draft picks likely won't be very high for the foreseeable future. Overall I thought Cashman did solid work on a few fronts. This Yankee team has had some bad luck with injuries but the core remains very good and Cashman did well to stabilize some weaker areas. This trade deadline was a bit underwhelming for the Yankees, but that is not by the fault of Brian Cashman. The Bombers needed to add a starting pitcher, ideally a top end of the rotation starter, but none were available. 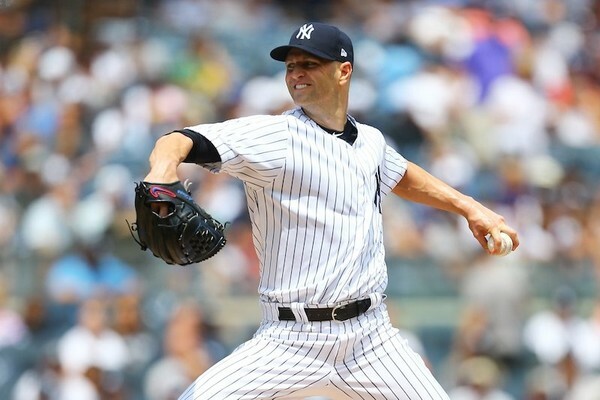 Cashman was able to maneuver his way through a busy market to add a lethal lefty bullpen piece in Zack Britton, an experienced lefty starter in JA Happ, and a depth pitcher/long reliever in Lance Lynn. These three players will help the Yanks chase down the Boston Red Sox in the division race, while also helping them succeed in late October. The most impressive thing Cashman pulled off this trade season was making all these trades and adding $3.75m in international pool money all while giving up only one prospect in their top 10. These moves will let the Yankees add elite young talent despite poor draft position in the upcoming years to help maintain their top five farm system. Cashman has shown his ability to improve his roster for the now while keeping his options open for the future as well. The seemingly impending move on deadline day never came from Brian Cashman… And maybe that was a pretty good thing. The Bombers didn’t want to make a trade that they would have had to sell themselves on just because of a few unforeseen circumstances (Severino’s recent struggles, Judge’s injury). I think Cashman did a great job of acquiring the starting pitching help that the team needed in J.A. Happ, and great timing considering German’s injury during his first AAA outing. Happ is a veteran pitcher with a good fastball who can hopefully slot in as a fourth starter for a possible playoff run should Sonny Gray continue to pitch terribly. Zach Britton was the left handed relief pitcher everyone had been hoping the team would acquire. 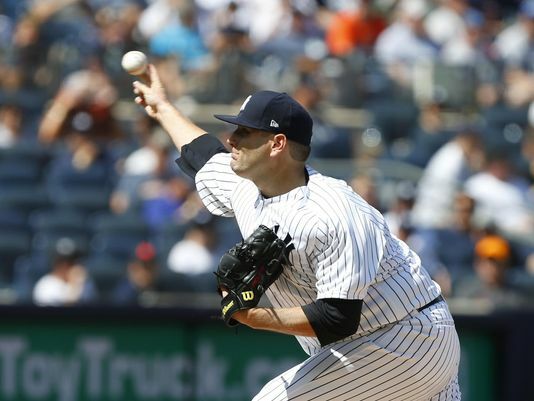 Then, Cashman also adds Lance Lynn, who just last season pitched to a 3.43 ERA in 186.1 innings. Lynn slots in as a decent long reliever who can also come in as a spot starter for injuries or even if Boone wants to add a sixth starter every few times throughout the rotation, like Joe Girardi did last year with Jaime Garcia. Along with these additions, Cashman also acquired a ton of international signing money and opened up some spots on the 40-man roster for some younger prospects during the September call ups. The Yankees did a fantastic job solving the main issues with the team at the trade deadline. They improved the bullpen’s lone weakness by adding Zach Britton and shored up the rotation by adding JA Happ and Lance Lynn. Britton is a monumental improvement over Shreve and both Happ and Lynn are veteran pitchers with postseason experience that are major upgrades from the Yankees’ Scranton Shuttle pitchers and even Sonny Gray. Yankee fans were critical that Cashman didn’t deal for an ace, but after seeing the haul the Pirates gave up for Archer, who has pitched like a 3 or 4 this season, Cashman definitely made the right move to go for veteran rentals who are more than capable of pitching better than their numbers. Cashman was able to acquire a trio of solid players, while improving the state of the 40-man and without giving up one of the Yankees’ premier prospects. The only move I was disappointed Cashman didn’t make was for a right-handed bench-bat that could play outfield and DH. Clint Frazier’s timetable is uncertain and this would have allowed the Yankees to not have to rush Aaron Judge back and possibly jeopardize the rest of his season. Not making this move shows me that the Yankees trust Neil Walker to handle a majority of at-bats at the designated hitter slot during Judge’s absence. This was not a move the Yankees had to make, but it would have been nice to see someone other than journeyman Shane Robinson get at-bats in the thick of a pennant race. The Yankees seem to think highly of 1B/DH Luke Voit they acquired from STL, so he may garner some at-bats down the stretch. The most unheralded moves of the deadline were Cashman’s moves to stockpile international spending money. Teams are given a certain amount they can spend and are then allowed to deal for more. Cashman acquired the maximum amount the Yankees could spend and was able to cash a in on a massive haul of young international talent that will help stock the farm system. This is crucial with the Yankees likely having low picks in the upcoming drafts. While the Yankees made the bulk of their moves prior to the July 31st trade deadline, the value that each piece brought in transformed an already playoff ready roster into a serious threat for the Fall Classic. The Yankees made three moves in total, acquiring LHP Zach Britton from Baltimore, LHP J.A. Happ from Toronto, and RHP Lance Lynn from Minnesota. Analyzing each individual move chronologically, let’s assess the Zach Britton trade first. Britton, former closer for division rival Baltimore Orioles, was brought in to fill in a much needed left-handed reliever role in the back end of the Yanks’ bullpen. Excluding Aroldis Chapman, the only southpaw in the bullpen prior to the acquisition of Britton was Chasen Shreve, who had marginal success in 2018. Britton had been one of the most coveted pieces on the trading block since the Orioles shifted into rebuilding mode after a disastrous season to date. He provides immense depth to a bullpen that is already considered the best in all of baseball. Britton is known for his lightning sinker, which tops out at 96-98 MPH and has tremendous late break which results in a high batted ground ball rate of 67% on the season. This was a great pickup for the Yankees, and creates a nightmare for opposing teams facing this sturdy bullpen. Blue Jays’ veteran J.A. Happ was another important acquisition, and while the exchange for a few months’ rental seemed steep (IF Brandon Drury and OF Billy McKinney), fans need to understand that Drury had little shot, if any, of playing consistently in 2018, while McKinney was an expendable prospect. Happ secured a spot on the 2018 All-Star team to the tune of a 4.18 ERA with 130 strikeouts in 114 innings for the Blue Jays, and has veteran experience having played 12 years in the league and been to the playoffs half of that time. He gives the rotation another solidified left-handed vet next to good ol’ C.C. Sabathia, and while Happ doesn’t make the rotation a fearsome one, he solidifies it in place of a Domingo German or Luis Cessa for the remainder of the season. The Yankees’ most questionable trade came when they acquired former All-Star Starting Pitcher Lance Lynn from the Minnesota Twins for 1B Tyler Austin and right-handed pitching prospect Luis Rijo. Hopefully a change of scenery will help him, as he hurled a 5.10 ERA during his tenure with them. Similar to Happ, Lynn provides more playoff experience from his time with the St. Louis Cardinals, yet he can be used much more flexibly. With Sonny Gray becoming more of an enigma each time he pitches, and Luis Severino struggling over his last few outings, Lynn was likely an insurance piece who will get both spot start and long relief opportunities down the stretch. One thing the Yankees failed to capitalize on was a slot outfielder/DH. Aaron Judge is going to be out for approximately 3-4 weeks, which leaves a hole in the middle of the lineup. No player is going to bash 26 home runs, however getting a guy such as Curtis Granderson or Cameron Maybin could have proved a viable upgrade over the inexperienced Shane Robinson. Realistically, an acquired outfield piece would have only played “once a week” according to Yankees management, so if Cashman didn’t find a good price for a player of that stature, then maybe the Yankees are better off with the roster they currently have. Overall however, the Yankees had a solid deadline and are even more so a force to be reckoned with in the American League come October. The Yankees did a decent job with the trade options that were out there. This team is not significantly better or worse off after the deadline, but the moves made improve this team right now and in the long run. Cashman managed to collect enough international bonus pool money to reach the maximum amount ($3.75M) allotted to sign international prospects. He also acquired four solid players without giving up a top prospect in Florial, Sheffield, or Acevedo, among many others. I’m never one to count Cashman out on any possible deals, but I had little faith that we would see a blockbuster trade with players such as deGrom or Harper this season. The team's two most imperative needs, a starting pitcher and lefty reliever, were addressed. I wasn’t thrilled about the deal for J.A. Happ but seeing as Drury had no place on this team and their influx of outfielders left little opportunity for McKinney, it was a sensible trade. My favorite acquisition from Cashman was Zach Britton. He is a huge upgrade over Shreve and another reliable lefty to accompany Aroldis Chapman in the pen. It hurts to see fantastic clubhouse guys like Shreve, Austin, and Warren get traded, but it will all be worth it if the Yankees finish the 2018 season as World Champions.